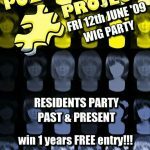 Here at Puzzle Project HQ, we are not entirely sure where this last year has gone!? 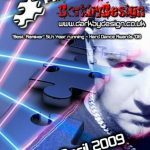 It seems like only yesterday we had BK and the Organ Donors tearing it up on our stage?! On the 11th Sept we’re . . . 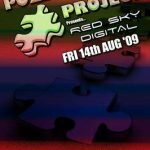 Puzzle Project has it's sights firmly set on August’s event where we team up with brand spanking new trance label Red Sky Digital Recordings. 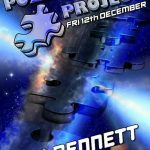 The brainchild of Puzzle Project residents Matt Church . . . In the wise words of ‘The Mask’ “P-A-R-T-WHY..? Because I gotta!!!!! This month doesn’t see us donning masks though, but instead, the fabulous hairy head garment, THE WIG!!!! Just like every one of . . . Imagine you’re a little rabbit, bouncing around a little country lane, when you hear this thunderous roar from an engine hurtling round the corner, you stop and just stare in disbelief and you are . 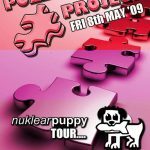 . .
Well its official, we have arrived in 2009 with epic style!!! 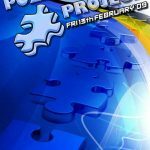 Phil Reynolds & April both broke their cherries as Puzzle Project residents and our Feb party should have people talking for months to . . . Since you last saw us 2 months ago, you have had Christmas and New Year to contend with, not to mention Matt Church and Ben Bennett’s birthdays which were both epic by all accounts! Well we’re sorry . . . 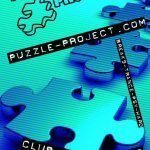 The year 2008 has been a mammoth time for Puzzle Project which has been going from strength to strength bringing you some of the top names to the scene at our friendly home in the 414. We have been . . .
A wise philosopher once wrote; Naughty naught, very naughty..! We’re pretty sure he was talking about our next line-up! 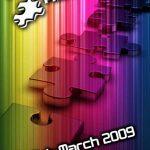 With the ever expanding list of sub-genres within dance music, and the ever . 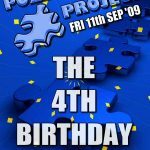 . .
And so it begins… Year 4 is upon us, as we grab it by the balls and continue our campaign to keep Puzzle Project on the map as London’s greatest ever intimate party!!! 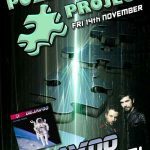 If you missed our 3rd birthday . . .